There is a strange dichotomy taking place in society today. On the one hand, laws against marijuana are being eliminated. People who abuse pot are now able to feed their addiction with an overly generous supply of the drug. For example, in Arizona, where medical marijuana is legal, users can purchase up to 2.5 ounces every two weeks. This is enough to be stoned every day. Once you have a prescription, you can refill it for an entire year without going back to renew the prescription. It’s easy to get a prescription in most states that have legalized medical marijuana, just inform a doctor you have pain. And if you live in a state like California that has legalized recreational marijuana, there aren’t even any limits on how much you can buy (just how much you can have on hand). 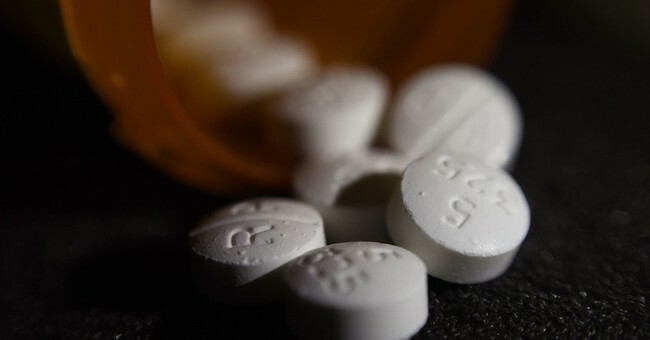 In contrast, opioids, which are commonly prescribed for chronic pain and have been legal for years (with the exception of heroin and some fentanyl) are becoming increasingly restricted. Legitimate chronic pain sufferers who depend on them to reduce their pain are finding themselves going days without any medication or undermedicated as a result of the new crackdown. It began because people were overdosing on opioids. One woman in Arizona who suffers from chronic pain said her opioid dose was lowered from 100 MME/day to 90 MME/day as a result of the new laws. She said her pain has been "terrible" ever since. "It just hurts," she said. "I don't want to walk, I pretty much don't want to do anything." Another new law requires pharmacists to check and make sure patients aren’t doctor hopping — doubling up on prescriptions. Any accidental overlap between prescriptions hurts the patient, who is humiliated at the pharmacy when caught. Senior citizens are treated by pharmaceutical staff like common criminals. Dr. Julian Grove, president of the Arizona Pain Society, says, "A lot of practitioners are reducing opioid medications, not from a clinical perspective, but more from a legal and regulatory perspective for fear of investigation. No practitioner wants to be the highest prescriber." Even doctors that specialize in pain management are feeling pressure to reduce dosages. Psychiatrist Sally Satel, a fellow at the American Enterprise Institute, says the problem traces back to guidelines put in place by the Centers for Disease Control and Prevention in 2016. The guidelines were not meant to apply to pain specialists, nor were they to be applied as a blanket policy to every patient. "There is no mandate to reduce doses on people who have been doing well," Satel said. Ironically, chronic pain sufferers are told to switch to medical marijuana to ease their pain — but it doesn’t work for everyone’s pain. A recent Australian study found that marijuana does little for pain. Never heard of death by marijuana overdose. This idiot author gets two things conflated. Cannabis, which is simply a state’s rights issue, regardless of if someone wants to smoke, or not- and the war on people who need actual pain relief..
Like booze, the federal government should have zero role in what people put into their bodies; part of being an actual conservative is letting other people make their own choices with their lives, otherwise one is merely a socialist who ascribes to a different set of ‘do’s and don’ts’ than the Che shirt wearing twerp but is no better. People should be able to access whatever they need to mitigate their pain; at a low cost and with practical assistance. Any government that expects its citizenry to live in chronic pain for years while denying and impeding things that could ease same should be overthrown as being just as vile any other dictatorship. Look at the deaths from opioids. This person isn’t a doctor and has no business writing this article. The numbers have gone up since then too. The politicians have found an issue to demagogue on and believe it is a wholesome issue akin to being against drug abuse. The problem is that, for whatever dubious reason, they are using illicit drug use, fentanyl and it’s various synthetic derivatives, into the same class as prescriptive opioids. These are two vastly different issues. Have some abused prescriptive opioids? Sure, but people abuse any and everything. I see absolutely no reason, excuse, or need to unnecessarily punish the poor people who legitimately need pain medication. Regrettably, the pendulum continues to swing to the very extreme position, and yet POT FOR EVERYBODY! the stoner FR contingent comes flooding out of their bong resin drenched hidey-holes to bravely conquer another thread in 3 . . 2 . . . 1 . .
Now that I have chronic pain I understand. No one cares. Opioids are 1000x more dangerous than any concentration of Cannabis. Yeah. That’s a new one on me. I’m not a stoner or drug taker of any kind but to compare the two is ridiculous. I agree entirely with this article. I need a medication for my heart which is a mild sedative. Rather than prescribe me enough medication for say, two months, which would mean I’d only see my doctor once every two months I’m prescribed a one month supply which means I have to see him once every month. That’s great for the insurance company, the doctor and the pharmaceutical company. Typical bs the way America works. When the state, ie the government, wants to wage a ‘’war’’ on something the person it’s ostensibly meant to help ends up getting screwed and a third party ends up making the bucks. Research article on Use of Caanboids (worth the long read) re Marijauna based pain control without Opiods. While booze swilling hypocrites like you get all self righteous. Self righteousness is just a phony form of respectability. I fail to understand the purpose of the authors attempt to tie the two together. The only relevance is that pot can help extend the efficacy of opioids. And can ease the withdraw symptoms from opioids. She sounds like a bitter addict who has been forced to reduce her consumption of deadly opioids. Don’t think comparing cannabis to opioids is right but I do have some understanding of living with chronic pain. My 80+ year old mother lives in extreme pain due to several conditions she’ll have for the reminder of her life. Her pain meds keep getting cut back because they are afraid she will get addicted. She’s treated like a 30 year old addict. No concern about the terrible pain she is in every day. And the jack boot lickers will make their usual inarticulate, illogical, neo-socialist grunting noises, at least until cocktail time.